Two Oceans at Once (working drawing). ST PAUL St Gallery, 2018. 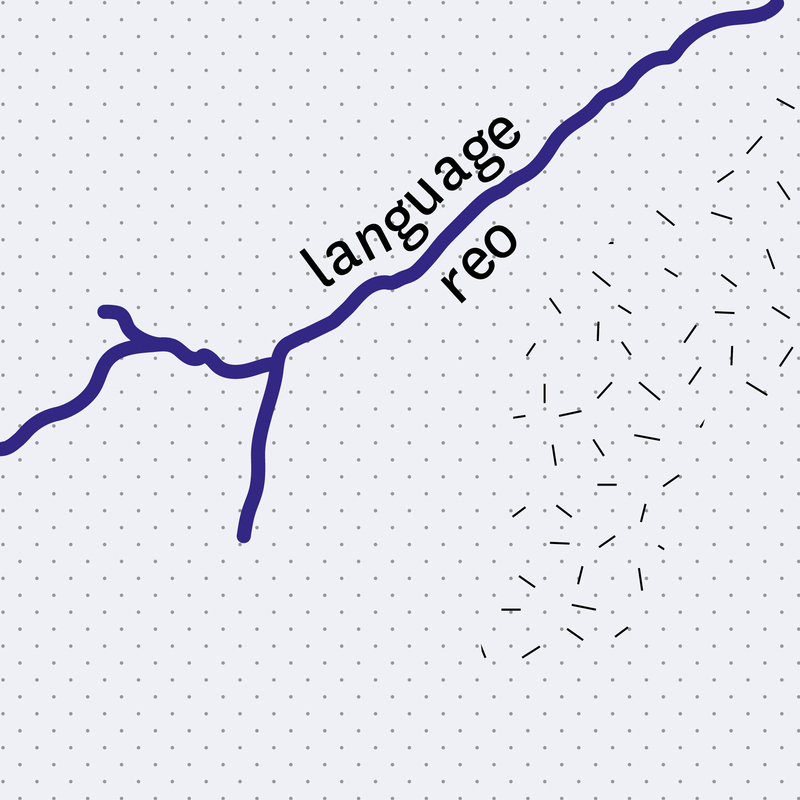 Adapted from Jonty Valentine and Taarati Taiaroa's design for the publication Local Time – Horotiu, 2012. The gallery will be closed on 25 April. From 2019 ST PAUL ST Gallery is undertaking a shift in programme structure. This will unfold as an ongoing project of collective enquiry called Two Oceans at Once. On a practical level, this involves changing the exhibition timetable to a two-part year, aligning with the two-semester structure of the University. Conceptually, it will be shaped by three core interrelated kaupapa: knowledge, language, and love. This new programme reflects structurally that we are in a constant state of becoming, and ‘coming into relationship with’ our context, as embodied by attitudes of manaakitanga and whakawhanaungatanga. The initial phase of this research involves the renaming of the Gallery, a project currently underway in collaboration with the collective Local Time and others. 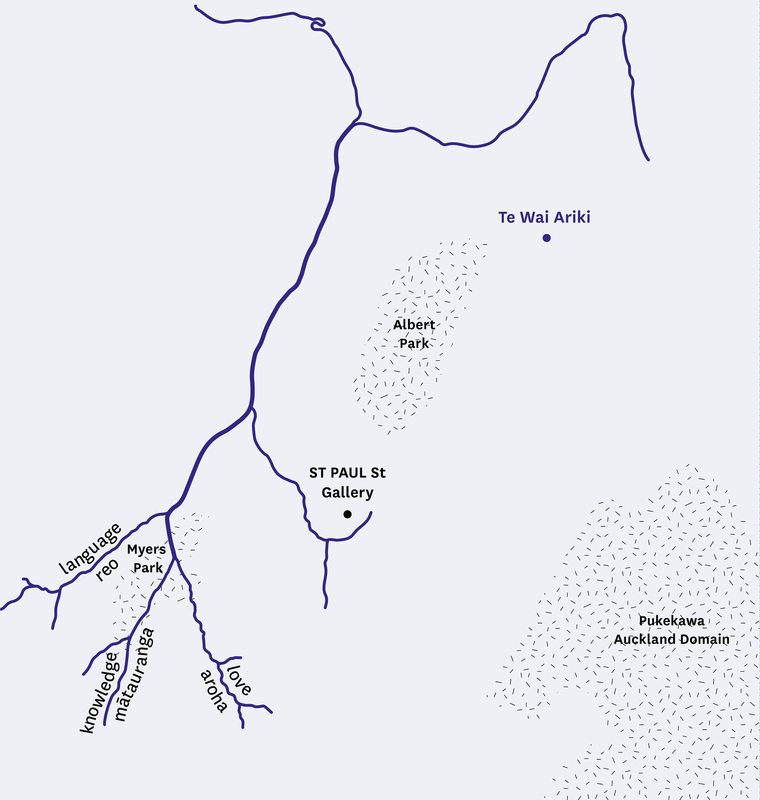 This continues a discussion initiated by the 2012 project Local Time – Horotiu, which took its cue from the AUT marae Ngā Wai o Horotiu and the now-covered waterways of central Tāmaki Makaurau. The process is expected to flow into 2019, with a new name to be announced sometime during that year. Two Oceans at Once is named from a story by Uruguayan journalist and poet Eduardo Galeano, in which he retells the commonly known history of the world in 600 short episodes. Two Oceans at Once takes on the impetus of retelling within the cultural context of Aotearoa, where 2018 is the 125th anniversary of women’s suffrage, and 2019 is the 250th anniversary of the arrival of Captain James Cook. In this enquiry, attending to both local and global contexts and questioning established thinking and practices, the intention is to activate structural and programmatic change within dominant institutionalised attitudes and their manifest inequity. Below, the three kaupapa are introduced with short texts, topics, questions and a bibliography. Two Oceans at Once is a project in process and the texts, discussions and readings are in a constant state of becoming and as such are intended to be open and explorative, not definitive.